“Embrace search engine marketing,” says the risk-friendly entrepreneur sitting on your shoulder. “Why not give your brand a boost by using Google’s marketing tools?” With just a few clicks, you’ll have signed up for analytics, visited the Merchant Center and registered your Shop at the Search Console. In between, you surely got asked to try the new AdWords Express for free. Promising, right? Do not go with AdWords Express. Just, no! It’s a trap! The absence of granular steering options makes this product a waste of time and money. The campaign set-up options are too basic to drive serious conversions, traffic, and revenue. Trust me. Make sure you have eye-catching marketing assets already in place. You’re going to need them for your ads, blog posts and social media activity. We have teamed up with our friends from Placeit.net to offer you a 15% discount on all subscriptions and single downloads. Give it a try here. A professional design tool alone won’t help you become an outstanding illustrator. However, the more professional a software is, the more likely it’s backed by support from users and the provider, allowing you to learn more from the community. Free software tools are generally missing an intuitive user interface and a good ol’ help center. I’d highly recommend using Affinity Photo or Affinity Designer. They are way cheaper than, say, Adobe’s product suits. Plus, you don’t need to pay a monthly bill while using only 10% of their functionalities. People tend to assume facts out of their own experiences and perspective. I’ve heard this common mistake when talking to Spreadshop users. When your order success takes a break, you might get to a point where you feel some doubt, whether it regards your product range, your website’s look and feel, or your product pricing. The list is long. Try not to base your decisions on your gut feeling(s). It’s better to dive into your own data resources and find arguments there. If you don’t have enough data available, you need to think of processes that’ll create the data for you. Perform split tests with your ad campaign. This is already a standard feature of Facebook’s Ads Manager. You can learn a lot from it without spending lots of money. Set up a short questionnaire for your visitors. Ask your fans what they like or why they’d leave your Shop without a purchase. I highly recommend checking out this library for WordPress users. 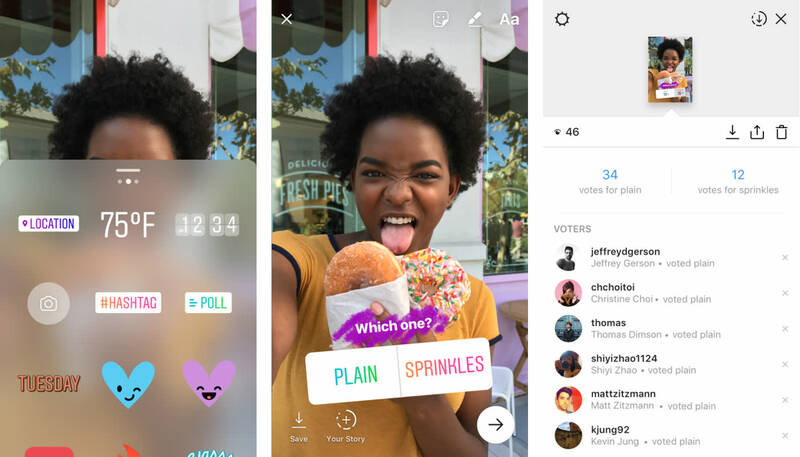 Use the poll feature on Instagram’s story mode! It’s the easiest way to quickly receive user feedback. 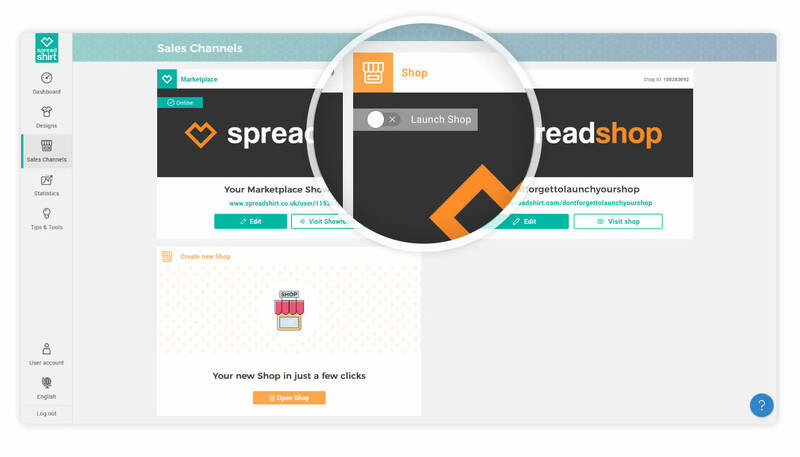 We’re sure you’ve seen this before: a Shop or site is crammed with over-personalization and over-customization. This includes flashy banners and excessive use of CSS/HTML. Don’t overcomplicate your website or Shop, as it will vicariously impact your customer’s journey. It’s not about the number of features. Your Shop has everything you need to start selling. 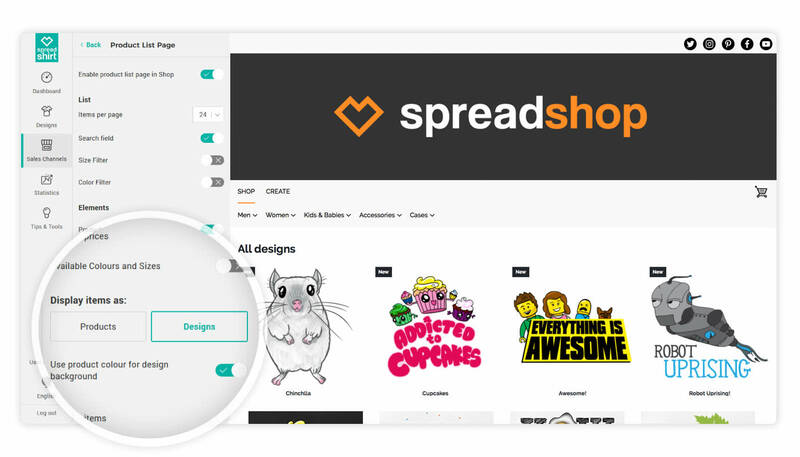 We’re monitoring your Spreadshop’s performance 24/7, and we improve the feature set based on our data. If you want to experiment or customize the basic look and feel, you’ll find the most important features within the Shop admin. You can also go and write your own CSS (we’ve listed some useful tips here). But don’t forget: it’s the marketing that drives your sales. If you do this right, the Shop does the rest. The more experienced people are with T-shirt designing, the more they’ll want to showcase their talents and assets. Combine this factor with a ton of product combinations, and there is real danger of messing up the layout of the Spreadshop. Similar to searching the results page of Google, your customers won’t browse from page 1 to 11 trying to find their desired product. Keep your Shop clean and simple – start easy! If you display only a few designs, it’s worth it to use the product-based Shop layout. If you have many designs, go for the design-based layout. You can adjust these settings under Page Settings > Product List Page > Display Items as Product/Designs. Start filling your merchandise Shop with some apparel standards. You’ll never go wrong with a narrow assortment. Choose one Men’s T-Shirt and a Women’s T-shirt per design. If it’s winter, feel free to add a hoodie or sweater. You should not have more than 10 items per design, and this includes accessories. Activating your Shop is a vital part of the process. Your efforts will prove to be fruitless if you fail to complete this step. No joke! This is the perfect opportunity to activate your Spreadshop. 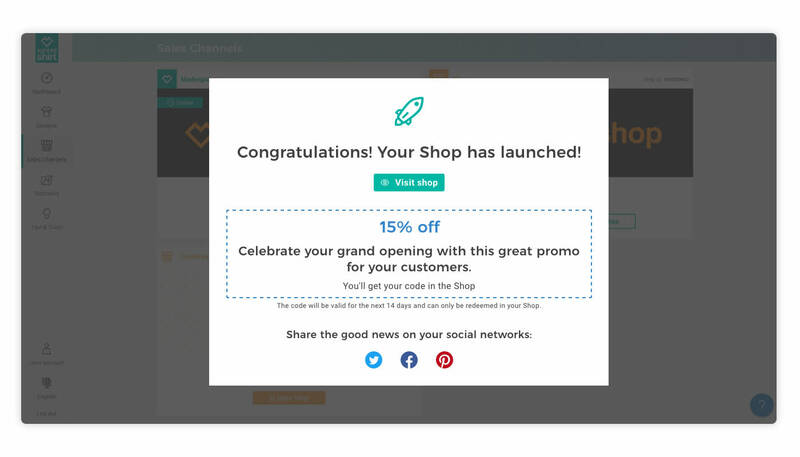 Right now, you can capitalize on a 15% shop-opening offer, which you should advertise to all your customers. Don’t let this chance pass by; activate your Shop and promote your merchandise at the beginning of your e-commerce journey! What are your personal failures as a Shop Owner? Do you have some valuable advice for fellow Shop Owners? Leave us a comment below! 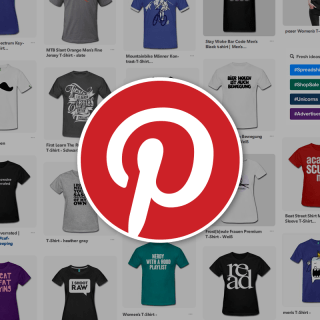 I’m not a total novice, (have been with spreadshirt “on an off” for a number of years). Now I’m getting serious…however there are a number of Spreadshop abilities that I can’t find or figure out (with many searches). Possibly this might help others. 1.) How do I combine several spreadshops into one? 2.) 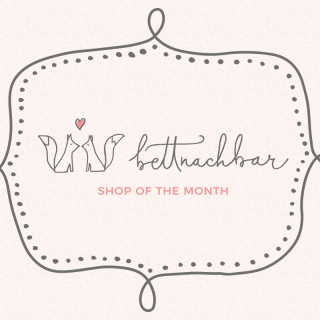 Where do I change a shop name (after the above combination)? 3.) What settings are needed to combine similar designs into “categories”. To avoid a “mash” up of looks? 4.) How do I set up similar designs to be grouped into a named category? if possible please refer any answers to email. 1. You cannot combine several shops into one. We recommend you use one shop and create several topics. Why would you like to combine several shops? 2. You can change the name of each shop individually under the main shop settings. Great advise! Going for it my future is launching off 123!! Here I go? ?